CLOSEOUTS. 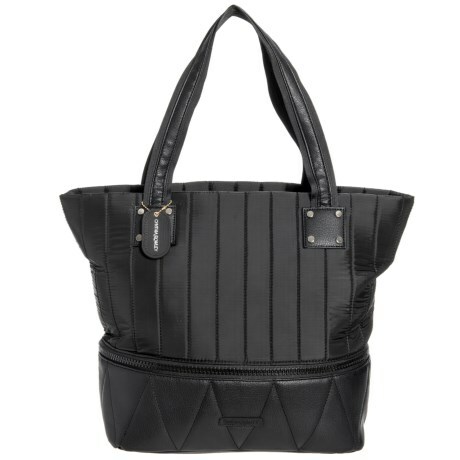 As an overnighter or for the daily grind, Cynthia Rowleyand#39;s channel quilt tote bag holds the essentials and then some with its expandable design. Available Colors: BLACK/GREY.